Earn as much as 188 GetGo points. Earn as much as 178 GetGo points. Earn as much as 549 GetGo points. Earn as much as 960 GetGo points. Earn as much as 323 GetGo points. Earn as much as 311 GetGo points. Earn as much as 302 GetGo points. Earn as much as 97 GetGo points. The province of Misamis Oriental is located in Northern Mindanao. It is the site of several manufacturing and industrial firms, making it a center of trade and development in the region. It is also blessed with beautiful mountains, gorgeous beaches, native forests, and mystical caves. Misamis Oriental is also known as "Mindanao's Nature Front." Cagayan de Oro is the capital city of the province. Industries ranging from automobiles to real estate as well as commerce and trade all contributed to the steady growth of the city. An important industrial and commercial center in the region, Cagayan de Oro has no shortage of shopping malls and entertainment hubs. But its main tourist draw is one of its natural wonders—The Cagayan de Oro River is around 90 kilometers and attracts thrill-seekers and adventurers. Its raging waters are ideal for whitewater rafting and river trekking. Those who want to take it slow can troop to the Divine Mercy Shrine. Towering over 9 hectares of green landscape is a 50-feet statue of the Jesus Christ as the Divine Mercy. It was built in 2008 as a pilgrimage site for the devotees of the Divine Mercy. The shrine also has a church where people can attend mass and participate in liturgical activities while overlooking the Macalajar Bay. Devotees and tourists alike visit the Divine Mercy Shrine every year. The plain-looking but pristine Agutayan Island is another unique destination in Misamis Oriental. This stretch of white sand has no trees but serves as habitat for different species of sea urchin, clams, and crabs. Traveling by air is the most convenient option when getting to Misamis Oriental. After all, the province is located about 1,400 kilometers south of Metro Manila. Flying to Cagayan de Oro, the provincial capital, only takes about one hour and 35 minutes from Manila. Best of all, local airlines like Philippine Airlines and Cebu Pacific have several flights daily in between the two cities. Traveling by sea is also another option but a lengthy one. Trips courtesy of 2GO Travel from Manila to Cagayan de Oro City lasts for about 33 hours. From Cebu City, travel time is 14 hours. You can travel by land if you’re coming from the major cities in the Mindanao region. A bus ride from Davao City to Cagayan de Oro takes about eight hours. If you’re coming from General Santos City, the trip takes about 12 hours. From the neighboring Butuan City, travel time is about three hours. You can take the jeep when getting around the different towns and cities in Misamis Oriental. Tricycles and habal-habal are also available, especially in the more rural parts of the province. Ridesharing service Grab is also available in Cagayan de Oro City. The ancestral home of the Vega clan in Balingasag is one of the landmarks in Misamis Oriental. The house is one of the first transition bahay na bato houses in the country, believed to have been completed in the 1800s. It is constructed from molave and balayong trees and has stood the test of time. Today, a restaurant occupies the first floor of the house, and part of its income is used for the upkeep of the house. The Divine Mercy Shrine in El Salvador is frequented by devotees of the Divine Mercy. The statue of Jesus the Divine Mercy stands in the center, towering at 15.24 meters. The nine-hectare land that overlooks the Macajalar Bay provides a scenic area to enjoy that much-needed peace and quiet. The Immaculate Conception Church in Jasaan is already more than a hundred years old but has continued to serve as one of the bastions of Catholicism in the province. In 2001, the church, with its prominent Baroque style of architecture, was declared as a National Cultural Treasure by the National Museum. Misamis Oriental is home to pristine beaches and lush floras and often referred to as Mindanao’s nature front. The Lasang Secret Adventure Park is an attraction for nature lovers. Within its thick forestry is the century-old Talisay Gubat Tree and various animals such as tarsiers, macaques, lemurs, imperial pigeons, and native doves to name a few. There is also a zip-line and hanging bridges for those seeking a thrilling experience. The Agutayan Island is about a 30-minute boat ride from Jasaan. This “naked” island has no trees, but its glorious white sands and azure waters make up for what it lacks. It also has a shallow coral reef, perfect for snorkelers and divers alike. The marine life in Sipaka Point, located in the town of Talisayan, is also a sight to behold. It has both colorful coral gardens and sea creatures like fish, sponges, and mollusks. This dive spot is recommended for experienced divers because of its natural undersea current. For the beach lovers, the Saint Bernadette Beach in Binuangan has crystal clear waters that will surely lure you for a refreshing dip. Meanwhile, the white beaches of Mempepe and Alibuag have fine white sands that will surely give Boracay a run for its money. For spelunking, Monigue Cave in Cagayan de Oro won’t disappoint. This mystical cave has stunning features: an underground stream and breathtaking rock formations. And when in Misamis Oriental, don’t pass up on the opportunity to go whitewater rafting at Cagayan de Oro River. The river rapids are fast and strong enough for a thrilling ride. There are courses available for both beginners and experienced adventurers, so everyone can enjoy this attraction. The Museum of Three Cultures in Cagayan de Oro’s Capitol University houses an interesting collection of cultural artifacts. Visitors will learn a thing or two about the history of the people in Mindanao through galleries that illustrate Muslim, Christian, and Lumad influences. Museo de Oro, in Xavier University, Cagayan de Oro, is another place where you can know more about Muslim traditions and customs. If you’re into golf, you can practice your swing at Pueblo de Oro Golf Course, also in Cagayan de Oro. The Higalaay Festival is the annual fiesta celebrated in Cagayan de Oro every August. The festival is held on the feast day of Saint Augustine, the patron saint of the city. Parades, culinary shows, trade fairs, beauty pageants, and even a fireworks competition are all part of the festivities. Each town in Misamis Oriental has its own festival to celebrate, usually in honor of their patron saint. The Patunob Festival is Binuangan, Lugahit Festival in Lugait, and Alubijid Town Fiesta are some of the celebrations to watch out for. If you find yourself in Talisayan, then you should definitely drop by Nita’s Place to indulge in a fresh seafood feast. Try the fish tinola, inihaw na isda, and grilled or adobong posit, some of the restaurant’s best sellers. 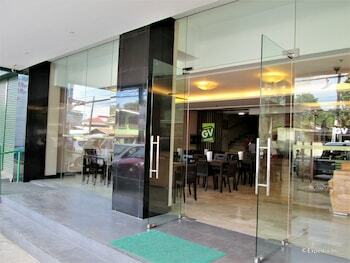 When dining in Cagayan de Oro, the Kagay-anon Restaurant is a must-visit. It serves a bevy of local Kagay-anon dishes like the famous CDO kilawin, ostrich salpicao, and their own version of pinakbet. To complete your meal, try their halo-halo serve in a coconut instead of a glass. For shopping, there are various malls in Cagayan de Oro: the Ayala-owned Centrio Mall is right in the heart of the city, while the Limketkai Center is not too far away. Soon, the Sy-owned SM CDO2 Premier will also rise in the city, in addition to SM City Cagayan de Oro. Roundtrip airfares from Manila to Cagayan de Oro cost as much as PHP 8,000.00. Keep an eye out on promo fare announcements so you can score tickets for as low as PHP 3,500.00, or maybe even lower. One-way sea travel from Manila to Cagayan de Oro, on the other hand, costs anywhere between PHP 1,500.00 to PHP 2,000.00. When going around the province, the base fare for jeep rides is only PHP 7.00. Tricycle rides are at PHP 20.00 per head, while habal-habal rides start at PHP 50.00, depending on the destination. When dining, the suggested budget is about PHP 200.00 to PHP 300.00 per meal. When shopping for souvenir items, key chains and ref magnets are usually priced PHP 20.00 to PHP 50.00 per piece. Souvenir shirts cost PHP 200.00 to PHP 250.00, depending on the design and material used. For budget travelers, there are many affordable hotel rooms available for as low as PHP 800.00 a night. 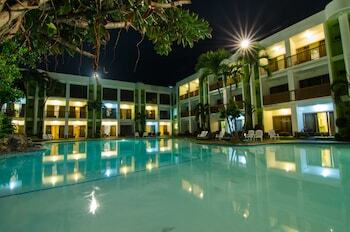 There are also upscale hotels, especially in Cagayan de Oro, for as much as PHP 3,500.00 a night. Entrance fees to museums cost about PHP 100.00 per head. If you’re going white water rafting, the price for the basic course is PHP 1,700.00, while the advanced course is PHP 2,000.00. A trip to Agutayan Island is about PHP 1,500.00. The entrance fee to the island is PHP 150.00 per head. Tipping is no longer necessary since most restaurants include a service charge in your bill. But you can leave a small amount of PHP 20.00 to PHP 50.00 if you insist. 9:00 AM Have breakfast at Nanol’s Café. 10:00 AM Visit the Mapawa Nature Park. 11:00 AM Visit the Malasag Eco Tourism Village. 12:30 PM Have lunch at Kagay-anon Restaurant. 2:00 PM Go whitewater rafting at Cagayan de Oro River. 6:00 PM Head back to town and have dinner at Circa 1850. 8:00 PM Head back to the hotel and retire for the night. 9:00 AM Go on a tour of the Lasang Secret Adventure Eco Tourism Park in the town of Initao. 1:00 PM Head back to the city and have late lunch at Aling Violy’s. Make sure to order their humba, which is said to be the best one in CDO. 3:00 PM Drop by the Museum of Three Cultures at Capitol University. 4:30 PM Visit the Museo de Oro at Xavier University. 6:00 PM Have an Asian fusion dinner at Sentro 1850, located at Papa Juanitos Square. 8:00 PM Enjoy the nightlife around town. 8:00 AM Have breakfast at the hotel or at Missy Bonbon’s Breadshop at Rosario Cres. 9:00 AM Buy food and drinks for your trip to Agutayan Island. 10:00 AM Depart the city for Jasaan and then ride a boat to the island. 12:30 PM Have a quick lunch on the island before enjoying the beach. 4:00 PM Depart the island for CDO. 7:00 PM Have dinner at Redtail Shrimps & More located at Papa Juanitos Square. 9:00 AM Buy souvenirs and pasalubong. 11:00 AM Check out of the hotel and have lunch at Kafe al Fresco before heading to the airport. 3:00 PM Arrive at the airport. 5:00 PM Depart CDO for Manila. The average temperature in Misamis Oriental is roughly around 28 degrees Celsius. Stormy weather is usually common during from June to October, while the rest of the year remains relatively dry. Pack light and breathable clothes when traveling to the province, but do bring a light jacket or scarf to keep yourself warm at night when the temperature can become cool. There are 11 government and 15 private hospitals scattered all throughout Misamis Oriental. The Northern Mindanao Medical Center located in Cagayan de Oro is one of the province’s leading hospitals. Although many pharmacies and drug stores are also found in the province, it is best if you pack your own medicine, especially for certain medical conditions. Cagayan de Oro has had its share of terrorism scares in recent years, but the local government has taken the necessary steps in order to ensure the safety of its visitors. But be sure to practice vigilance in order to avoid any untoward incidents from happening. Keep an eye on your valuables especially when going to crowded and public spaces.